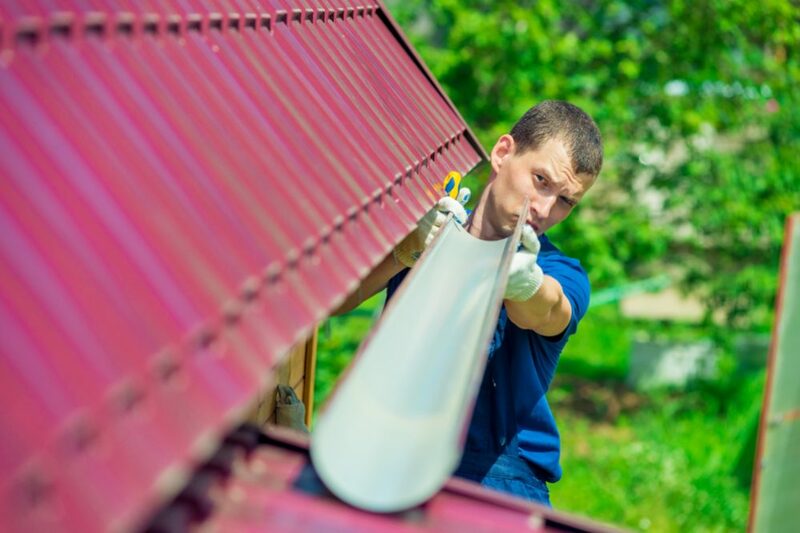 Many of us have experience with water that gushes out of a downspout and interflow to a nearby stream or river with all fertilizers and pesticides picked up from the lawns and oily streets. The US National Library of Medicine, National Institute of Health published the results of a study that shows how inadequately managing stormwater runoff negatively affects public health. 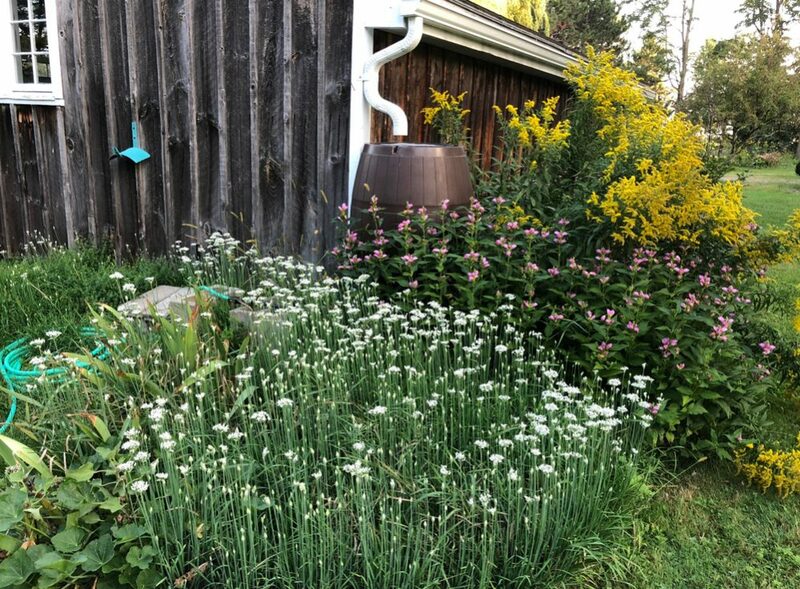 Nowadays, there are many opportunities to build a rain garden in front of your house and divert all that water from the gutter into an attractive natural filter. That way, you can help with cleaning the water. The best thing is that making a rain garden is not an exhausting job at all. A Rain Garden (a bio-retention cell) is an excellent garden with the purpose. The primary goal to make such a place is reducing, filtering, and directing the storm-water from our roofs, parking, and driveways. Rain Gardens are based on the concept of bio-retention. That means we use plants, oil, and mulch to naturally remove pollutants from stormwater that is a result of heavy falls (rain or snow). If you live in a low-lying area, with specific layers of organic mulch, sand, and soil, you can create your own Rain Garden to help nature to filter the rain. This type of garden will easily absorb rainwater after a storm. 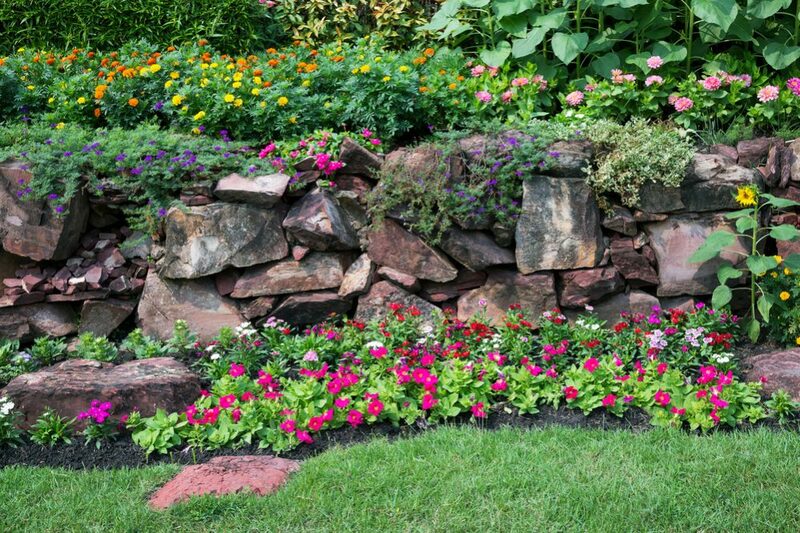 In the same time, the soil will store that water and nourish your plants including trees, flowers, and grass. Before you decide to design your own Rain Garden, you should set your primary goals and determine the height of your budget. You need to count on approximately three to four dollars per square foot for installing an average residential Rain Garden. All in all, if you want to install your own Rain Garden, you will likely have to pay it yourself. The good news is that the garden you need on your property will probably be small and costs will be reasonable. When you decide to make a traditional garden, you can do it at almost every location. However, a Rain Garden is a bit more demanding. 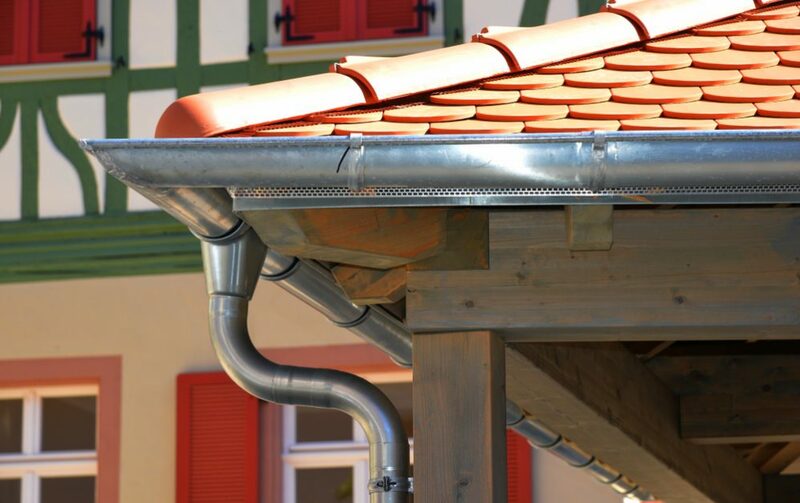 It would be best if you located it in a low lying area because you want water flows naturally from your driveway, downspout, sidewalk, or patio. The efficiency of your future Rain Garden will largely depend on the quality of the soil in your area. Therefore, you should test the soil at the site that you determined as the most suitable location for your garden installation. That way, you can decide whether you should add anything to the soil to enable it to drain properly. Generally speaking, the soil has to be sandy, porous, able to absorb water within two days, and well-drained. These properties will allow preventing the drowning of the plants and breeding the mosquitoes. If the soil is mostly clay, you will need to replace it with soil mix made of 20-30% compost, 20-30% topsoil, and 50-60% sand. One more thing! Don’t forget to remove the grass from the area you plan to install your Rain Garden. Use a sharp spade to slice off the grass’ roots. If the lawn is covered with perennial grass, you should consider renting a sod cutter for approximately $80 a day. Also, determine the size of your Rain Garden based on the rainwater flow. Basically, its size needs to match the site drainage area, and it can be smaller than you have previously expected. At the very beginning, decide which shape you prefer. Keep in mind that it should fit the available area. The most beautiful options are the kidney’s shape and ovals, but you can choose a long or rectangular shape as well. Then, you can start digging. Your primary concern is the depth of your Rain Garden. When it is full, the ponded area shouldn’t be less than six inches deep. Don’t forget to contact the utility companies to check out if the chosen location is free from obstructions. Always keep in mind one thing. Yes, the main purpose of the existence of the Rain Gardens is to help you protect water quality, but they are still much more than that. Why would you allow this place to be a pile of randomly planted plants, when you can turn it into a blooming paradise for yourself, your family, and neighbors? Imagine your new garden as an attractive part of the landscape around your house. The big question is – What plants to chose? It is simple. Whenever possible, choose native plants for your Rain Garden and avoid non-native (especially invasive) plants. Also, choose edible and fragrant plants and avoid poisonous ones and those that produce excessive pollen. Always consider the height, color, overall texture, and bloom time of each plant. The good idea is to choose plants that bloom at different times and have different heights, textures, and shapes. 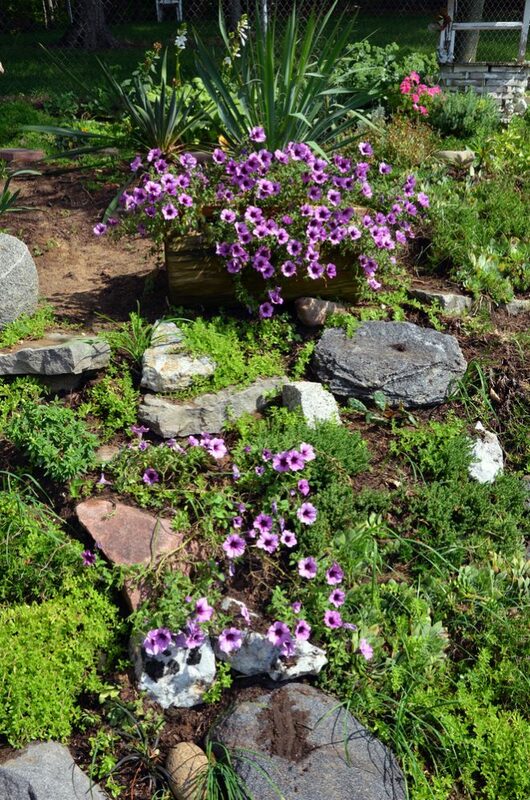 That way, you will create a longer season of flowering and give your Rain Garden interesting dimension and depth. The first zone – For the center of your Rain Garden you should pick out plants such as Lady Fern or Winterberry that thrive in the moist environment because that area will stay wet the most prolonged period after the rain. The second zone – If your garden has the sloping sides, put plants like Snowberries that tolerate periodical standing water there. 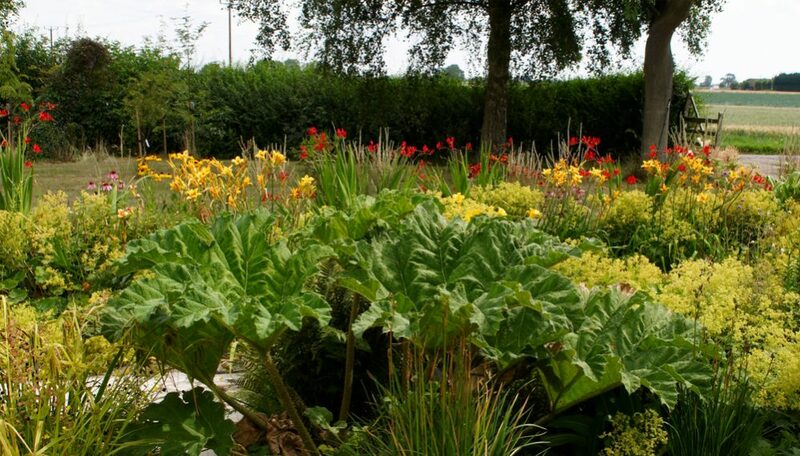 The third zone – You should reserve the edges of the garden for plants that prefer dry condition (for example, Daylily). For planting, you would better use the container-grown plants with an established and developed root. Additionally, you will need a lot of good will and a little physical activity. Start with digging the separate holes in the ground for each plant. It should be deep enough and twice as wide as the container in which that particular plant has grown. Put your plant in the hole, tamp the soil around its roots, and water it immediately. Except for the case of a lengthy drought, try not to water the plants after their first season. Two inches thick mulch will keep the ground moist, but not too wet. Ultimately, the point of making Rain Garden is that it collects and filters excess water, not to force you to spend your time watering it. 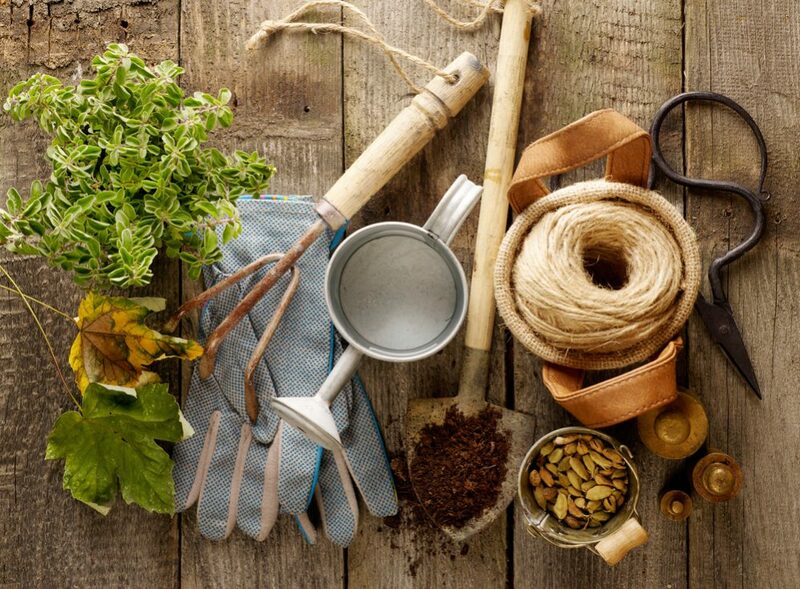 How successful your new garden will be, primarily depends on your estimation of the location, size of the garden, and selection of the plants. Basically, your Rain Garden won’t need as much maintenance as the traditional one, but you should take care of keeping it healthy, useful, and functioning. Add Mulch annually to decrease the growth of weeds and prevent hardening of the land surface which can lead to impeding of water infiltration. Many states in the US have already started campaigns to build thousands of new Rain Gardens, including the 12,000 of them in the Puget Sound Basin, Western Washington or 10,000 in the Kansas City, Missouri. Similar initiatives have been launched in West Michigan, Delaware, and Minnesota; as well as in the cities of Portland, Seattle, and New Jersey. You can start the campaign in your city. Start from your own home. Rain Gardens are easy to maintain, they will beautify your surroundings, and bring immense benefits to the community. Go for it!